Helvetas is committed to reducing poverty in Alai and Chon Alai areas with an estimated population of 100,000 through increased income and employment - in particular for women and youth - and thereby facilitating the rise of local and regional markets, leading to reduced inequalities and improved perception of life perspectives. 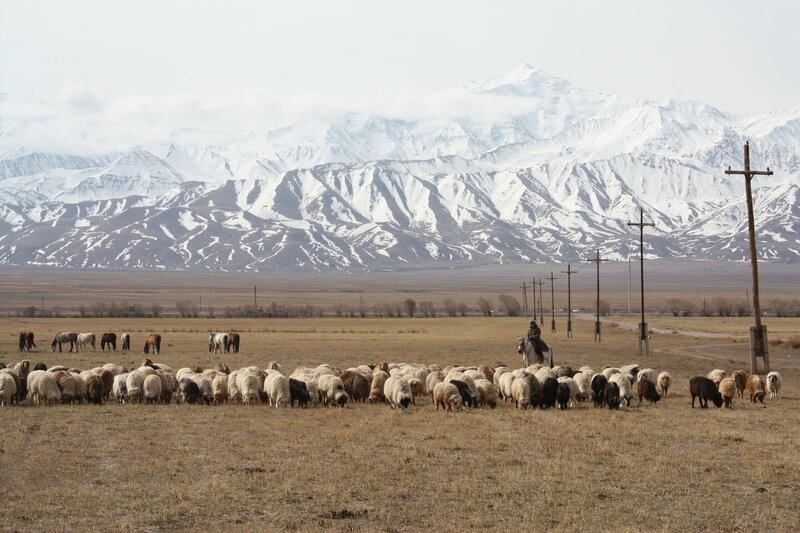 In the Alai Mountains of Kyrgyzstan, the climate is harsh but conducive to animal husbandry. Livestock is the backbone of the economy of Alai and Chon Alai and provides development opportunities. The project supports the efforts of a large part of the population involved in this sector to improve their income by developing businesses and using more efficient methods in livestock production. Improving livestock production is complex and requires a variety of interventions and innovations that take time to produce results. Although the income outlook is interesting, the potential for youth job creation remains limited due to long winters and expensive investment. Diversifying support to create more opportunities for young people and women to find jobs is essential in this region. In addition to the vital livestock sector, the project supports beekeeping and handicraft production, which provide more job opportunities for women than the livestock sector. Most families in the mountainous region of Alai live from livestock farming, but it does not provide the young people with enough jobs and prospects. The beauty of the local nature, the pleasant summer climate and the proximity to the highest mountains of the Pamirs (including Lenin Peak, a destination popular with tourists) provide the area with great potential for tourism, which can be expanded to ensure sustainable income to the communities. The project facilitates trainings for families who have opened guesthouses and farmers who work as guides during the tourist season on improving the quality of their services for tourists. With the emergence of these tourism activities, new demands and services are emerging, in which young people can invest. The project supports them in developing small businesses and start-ups (such as internet services), growing a network of small and medium-sized enterprises and creating new jobs. The BaiAlai project is a mandate of the Swiss Agency for Development and Cooperation (SDC) carried out by Helvetas together with the Aga Khan Foundation.